The Ibis Ripley and the Mojo have had a child, and it is the Ripmo. The Ripmo is a big wheeled, long travel bike that is always ready for a big climb or big descent. 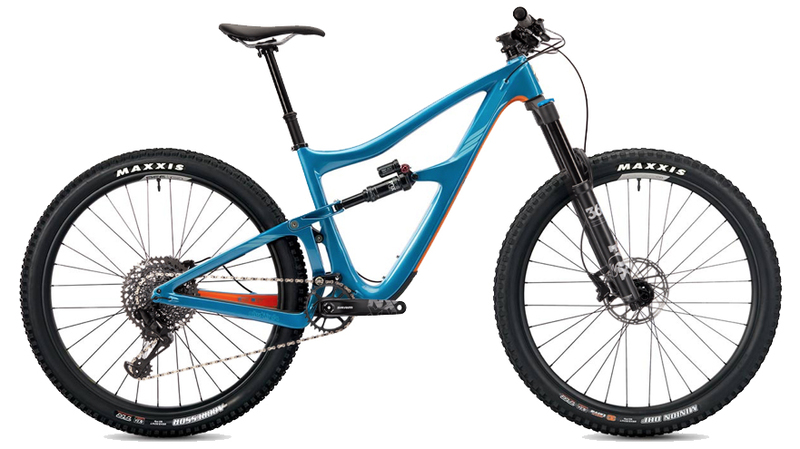 It has a sub six-pound carbon frame with 145mm of rear travel, 160mm of front travel, and uses the highly versatile DW-link suspension design. The frame's geometry is nearly an inch longer than the HD4 and has clearance for a 175mm dropper post. The frame has clearance for up to a 2.6" tire, short chainstays, a threaded bottom bracket, in-frame molded internal cable routing, and the ability to run both a rear shock and large water bottle. The geometry of the frame features a 76° seat tube angle that puts more weight over the front tire. This keeps the front end from wandering or washing out. 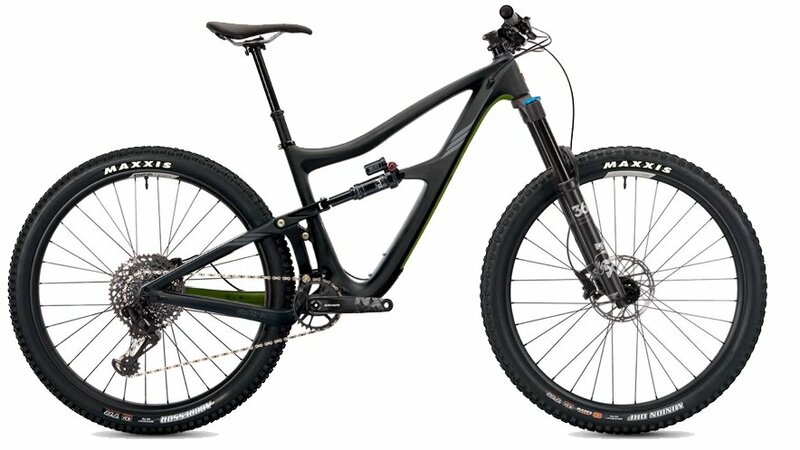 The Ripmo also uses a fork offset that is shorter than what is traditionally used on a 29er. This makes a 65.9° head angle feel like 64.5° without increasing the wheelbase. You get the stability of a slack head angle and still have the ability to go around tight corners. The Ripmo geometry opens up new levels of confidence-inspiring riding. The NX Eagle version of the Ripmo features a Fox Float 36 Performance fork with 160mm of travel in the front and a Fox Float DPX2 rear shock with 145mm of travel in the back. It comes with Ibis 938 aluminum rims with Ibis Logo hubs that offer a tubeless-ready, smooth-rolling ride. These are paired with a Maxxis Minion DHF 29" x 2.5" Wide Trail on the front and a Maxxis Aggressor 29" x 2.5" Wide Trail on the rear. The Ripmo features SRAM’s NX Eagle 12-speed drive train with a 11-50 tooth cassette in the rear, allowing you to effortlessly ascend the steepest climbs. When you get to the top of the hill, SRAM Level hydraulic disc brakes with 180mm rotors will provide the stopping power on the way down. The cockpit is comprised of Ibis aluminum handlebars and an Ibis stem, and the seatpost is a KS Lev-Si with 150mm of travel. If you're looking for the ultimate 29" bike, then you'll love the Ripmo. 152cm - 165cm 5'4" - 5'9"
163cm - 175cm 5'9" - 6'2"
175cm - 188cm 6'0" - 6'6"